Disclaimer: The information below and the content in 2020 Dreams Drama and Dance for Mental Health Workshops are not to be regarded as professional therapy. 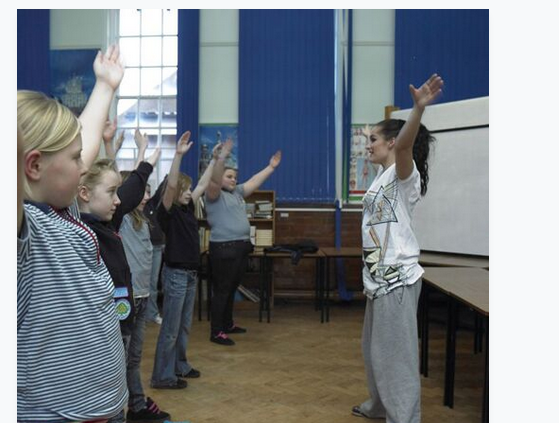 2020 Dreams Workshops focus on raising awareness and empowering young people to help themselves. Promoting and protecting the mental health of our young people needs to be a priority. Mental health issues play a big part in much of the youth violence and anti-social behaviour that makes the news headlines. Mentally healthy children and teens are more likely to resist peer pressure, to make wise decisions and to avoid the temptations of gang culture and other false sources of security and belonging. It is clear that talking about mental health only in the doctor’s surgery or on the therapist’s couch is not enough. Parents, teachers, community leaders and youth workshop providers all have a role to play in helping our young people. This is why 2020 Dreams decided to create our Drama and Dance for Mental Health workshops. By providing a safe space for young people to explore common issues around growing up and mental health, they can create some distance between their own, often intense, feelings and practise skills that will help them to deal with ongoing or future situations in the real world. Even the medium of drama and dance themselves can have a beneficial effect on mental health since young people may be able to express feelings that they are bottling up inside. Rather than vent those feelings in public, in anti-social ways, they can act out, mime or dance them into being. Not only is it better for the young person’s own mental health and the health of the community, it also helps young people to understand themselves more and use that knowledge to grow and succeed – in the classroom, in the home and in life itself. A 2020 Dreams Drama and Dance for Mental Health workshop will draw from a range of drama and dance activities with the precise format used depending on the school or youth institution’s priorities and preferences. Acting and role play will usually play a central part since it is one of the most evidenced forms of youth engagement. In sensitive, age-appropriate scenarios, children and teenagers will either play themselves or another person (peer, teacher, parent, community member, etc.). During the scenario they will be encouraged to explore their feelings, try out responses and discuss different options. Dance, mime and body movement can also have a powerful positive effect, enabling youths to channel their energies into constructive expression. As with all 2020 Dreams workshops, we can work with any group of young people between the ages of 8 and 18. This includes primary and secondary school age children, children with special educational needs and youths in PRUs and Young Offender Institutions. For more information or to book a 2020 Dreams workshop, please email hello@2020dreams.org.uk or call our friendly team on 0800 471 4983.